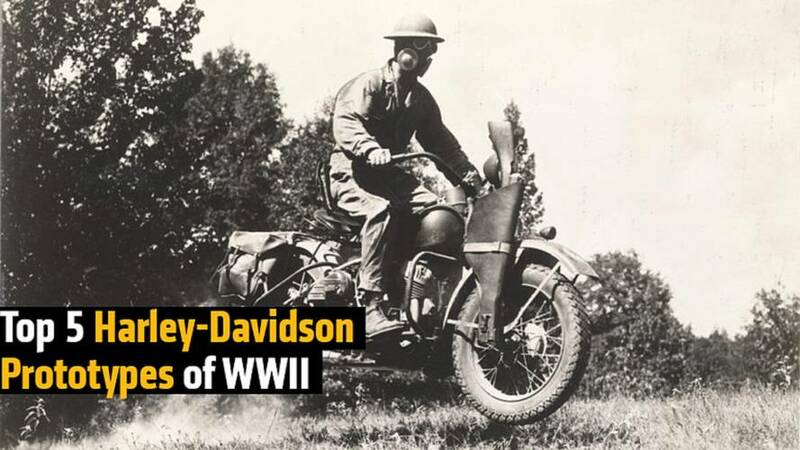 Here are 5 Harley-Davidson Prototypes built for WWII that you may have never heard of before. For Veterans Day we have decided to look back at one of the most popular articles about HD service motorcycles from our Classic Bike expert, Panhead Jim. 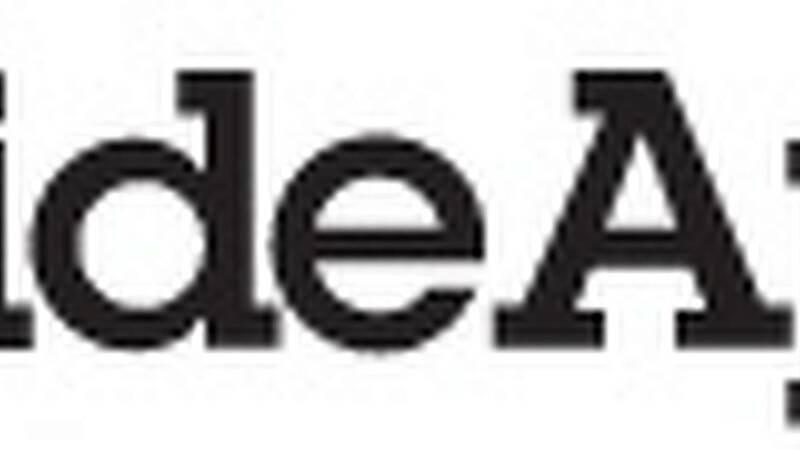 This article was riginally posted in 2014 but we thought it wouldn't hurt to bring it back for another look, in case you missedit the first time. World War II marked the largest deployment of motorcycles by the US Military in an armed conflict. The bulk of those machines were built by Harley-Davidson, who provided the US and their Allies with the now famous model WLA. Although exact production numbers are not known, it is estimated that over 80,000 WLAs and their Canadian counterpart the WLC were produced during the war, with enough spare parts to build another 30,000 motorcycles. Unlike the BMWs used by German forces, the WLA was not used in combat, but rather as a reconnaissance or messenger vehicle. They also lead military convoys which often meant that they were the first vehicle to enter recently liberated towns and cities, which earned them the name “Liberators”. Even with those massive production numbers, Harley’s engineers were still hitting the drawing boards trying to design additional motorcycles to satisfy the ever evolving needs to the US Military. This resulted in a number of unique vehicles, some of which were a dramatic departure from Harley’s traditional motorcycles. This list contains five of the most innovative and/or interesting machines to come out of the WWII era. Unfortunately, none of them made the transition to civilian production after the end of the War. Probably the biggest problem with using motorcycles for military operations was the need to provide specialized training for their operation. 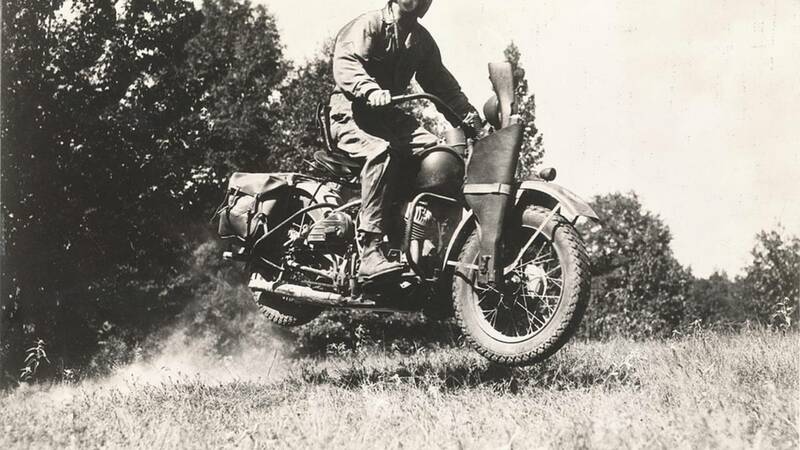 Unlike the Jeep, which would eventually replace the motorcycle, not anyone could just jump on a motorcycle and be able to ride it. 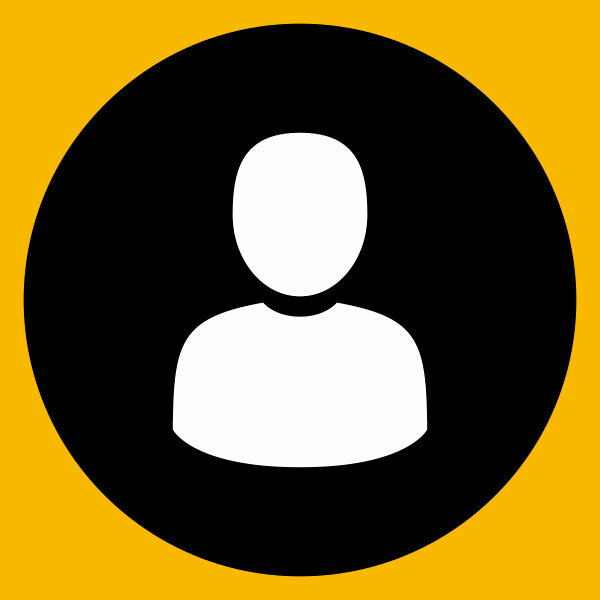 To help alleviate this problem, Harley designed a three-wheeled motorcycle which was designated the “TA”. The TA featured a powerful 68 cubic inch overhead valve motor nicknamed the “Knucklehead”, which was mated to a hand shifted three speed transmission with reverse. A shaft drive replaced the standard rear chain and drove the rear wheels via a Dana 44 rear end. It was also available in either right or left hand shift. 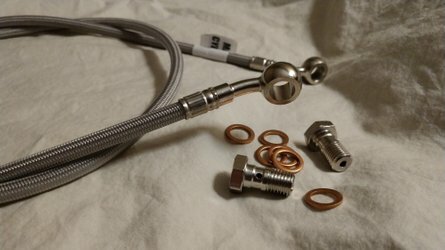 The first TA’s suffered from a number of problems like extreme vibrations and multiple oil leaks, but HD engineers were able to correct these problems, producing a total of 18 units. One of these rare machines can be seen on display at the Wheels Through Time Museum in Maggie Valley, NC. Perhaps one of the most interesting and rarest prototypes was this dual engine powerplant designed for a Canadian tank. 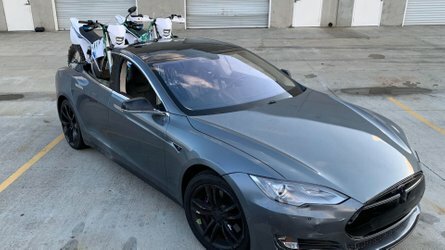 You might suspect that each engine drove one side of the tank, but they were actually connected to a single heavy duty rear end. 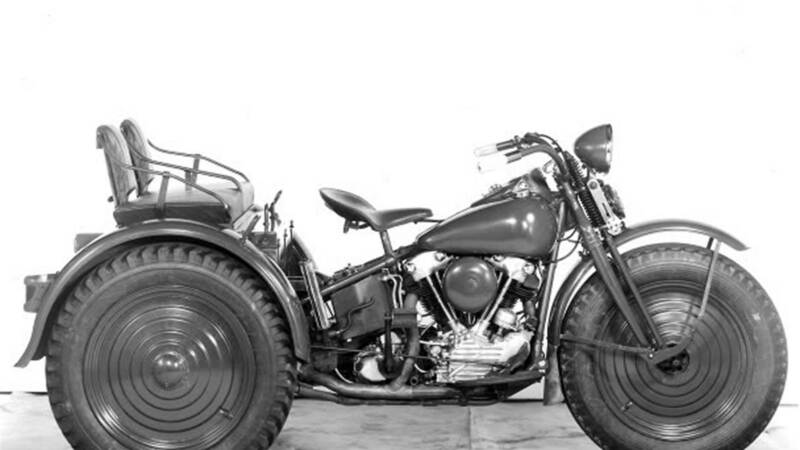 Produced in 1943, the tank that this unit was supposed to power never materialized and Harley-Davidson still retains this single prototype. 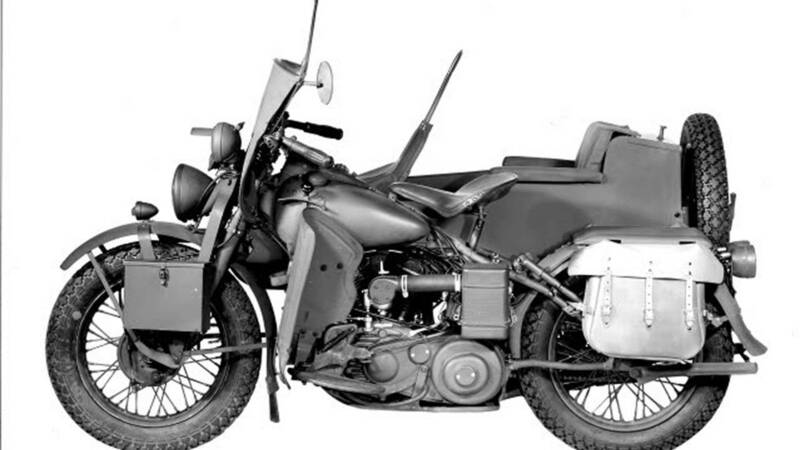 As capable as the WLA was, the US Military still couldn’t help but notice some of the advantages of the German designed BMW R71. 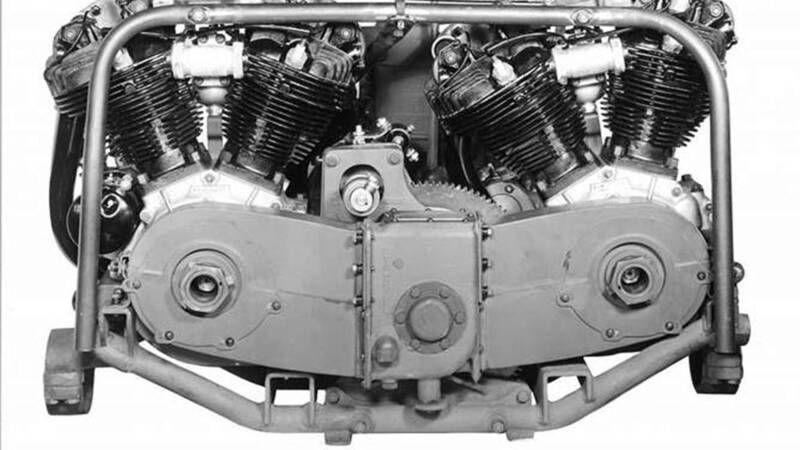 The R71 used an opposed twin motor that positioned the cylinders for better cooling along with an enclosed shaft drive which lowered drivetrain maintenance and increased reliability. 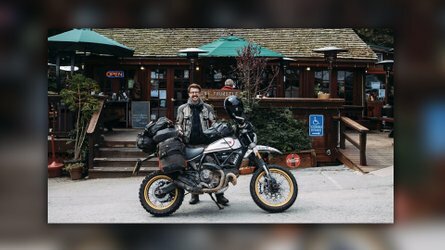 Both of these seemed like good ideas, especially as fighting moved into the deserts of Africa, so the US Army contracted Harley to build a new motorcycle based on the BMW design. The result was the model “XA” and in many ways it was superior to the current WLA. The XA was powered by an 45 cubic inch opposed twin motor mated to a foot shifted four speed transmission. This allowed the operator to keep both hands on the handlebars at all times which was a definite advantage when riding in rough terrain. It also had a larger fuel tank to extend its range, a larger capacity battery, centrally mounted air box, wet sump to eliminate the external oil tank and radio shielded ignition. It ran up to 100 degrees cooler than the WLA and the lower center of gravity provided better handling. Later versions became the first Harley-Davidson's to use a telescoping fork front end. Production of the XA was the highest of the WWII prototypes, with 1,011 units built for military testing. The engine itself also proved to be a reliable powerplant for other motor driven equipment such as generators and large water pumps. 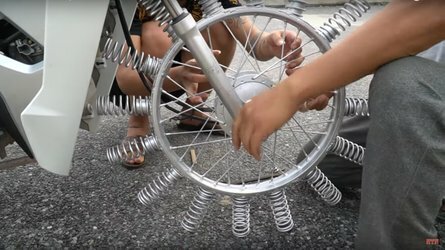 Capitalizing on the new XA drivetrain, Harley built another variant known as the model “XS”. At first glance, this looks just like an XA with a sidecar, but it is actually Harley’s only attempt at a two-wheel drive vehicle. 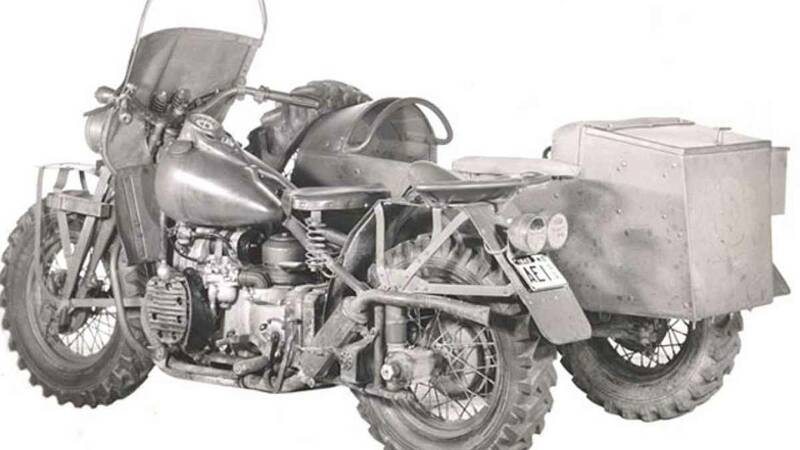 Similar to a modern Ural Patrol, the XS used a rear axle which powered the sidecar wheel off of the rear wheel. The result was a much more capable all-terrain vehicle. Unfortunately the Jeep was already starting to fill this need for the Army and only three prototypes of this machine were ever produced, one of which currently resides at the Harley-Davidson Archives. 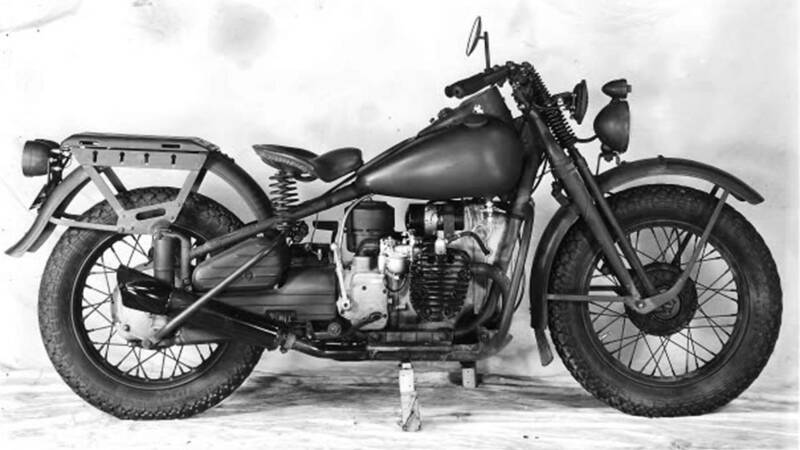 As part of the Lend Lease Program, Russia got its fair share of motorcycles from the US, to the tune of 26,000 units. Still, towards the end of the War, the Russian Military asked Harley-Davidson to design a new model to meet the specific needs of the Russian front. The result was a slightly modified WLA equipped with a sidecar named the model “WSR”. The WSR maintained the same drivetrain as the WLA, consisting of a 45 cubic inch sidevalve motor mated to a hand shifted three speed transmission, but changes were made to the chassis to increase ground clearance. Longer front forks were used along with a modified frame, presumably to help the motorcycle move through deep snow and mud. One prototype WSR was produced in 1944, but the end of the War in Europe resulted in no further units being produced.